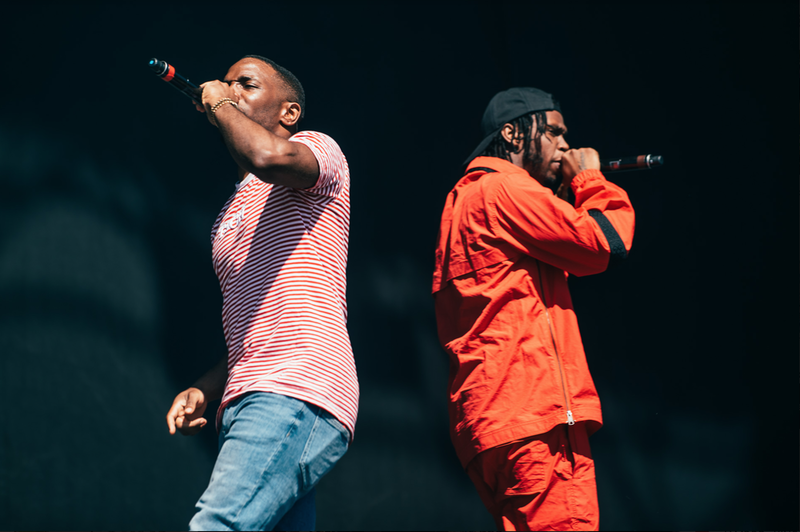 "INCREDIBLE SETS FROM COURTEENERS, GERRY CINNAMON, KREPT & KONAN, THE LAFONTAINES, KYLE FALCONER AND THE SNUTS WERE AS HOT AS THE SUMMER SUN AT DAY 2 OF TRNSMT"
Tens of thousands of music lovers once again flocked from across the world to a sold out Glasgow Green for day two of Scotland’s biggest music festival, and as TRNSMT fans bathed in glorious temperatures - with Glasgow reaching higher temperatures than Madrid – it was hot, hot, hot both on and off the stages. Possibly the most anticipated performance of TRNSMT’s first weekend was Gerry Cinnamon’s Main Stage set. Just one year ago the local lad took to the King Tut’s Powered by Utilita Stage, but there was only one stage for him in 2018. What unfolded was nothing short of unbelievable as thousands of fans displayed their utter adoration for the one man show; he belted out a set that left them in a state of pure euphoria. 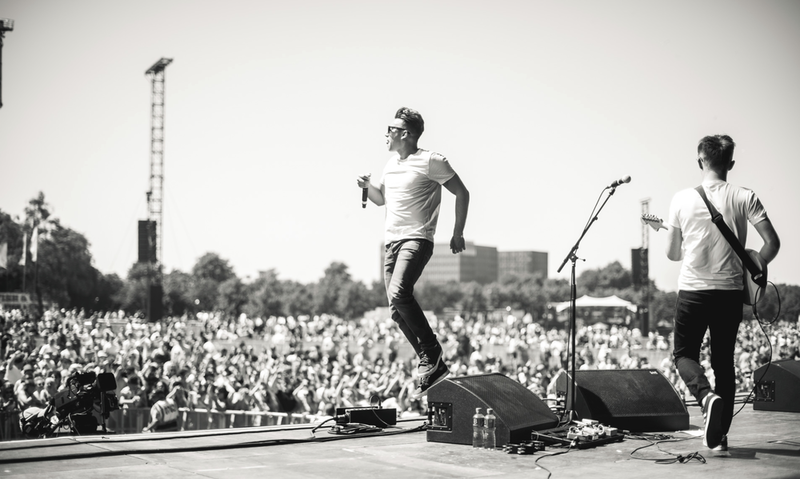 With just an acoustic guitar and a smile on his face, the singer-songwriter from Castlemilk played his heart out, and the TRNSMT fans returned the love ten-fold. As the evening rocked on, Wolf Alice’s set was one to remember with their huge hits such as ‘Silk’ and newer material including ‘Don’t Delete the Kisses’ the band showed why they are such a huge fan favourite at every festival they grace. 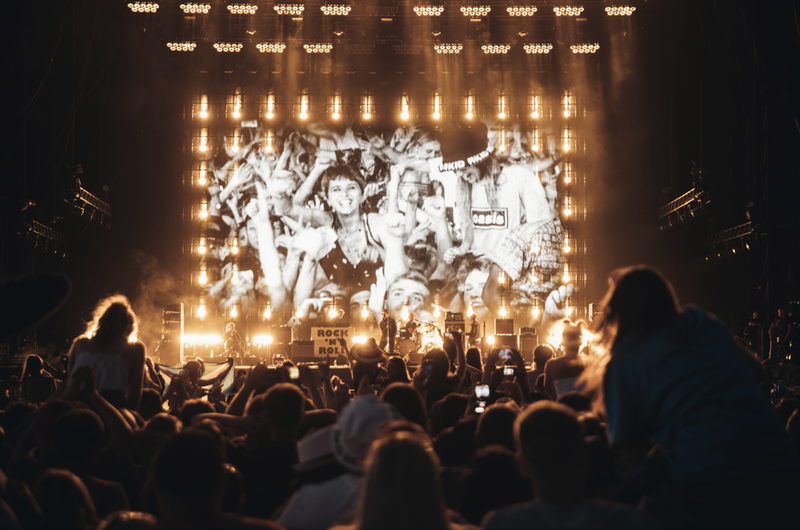 As their atmospheric set ended and fans continued to pour into Glasgow Green’s Main Stage area, it was time for the indie powerhouse that is the Courteeners to make their mark on the Main Stage. Arriving a week early, fan-favourite Lewis Capaldi - set to return to the Main Stage on 8th July -, enjoyed sets from bands including The Snuts and Kyle Falconer. Isaac of punk band Slaves mulled around backstage playing tunes in the Guitar Guitar pop-up in the Glasgow sunshine. Also spotted around VIP were Josh Taylor and Trainspotting hero Robert Carlyle who returned for a second year! And AC12’s own Martin Compston joined Kyle Falconer for a TRNSMT TV Live broadcast. As the SUNSHINNNNNE went down on Glasgow Green the swaggering silhouette on the Main Stage could be one man only. Liam Gallagher was welcomed onstage by an utterly magnificent roar, as the crowd of adoring fans watched in awe as one of the most recognisable and well-loved figures in British music composed himself to start. The first notes of Oasis classic ‘Rock n Roll Star’ echoed through the Green and the TRNSMT crowd went wild. Liam Gallagher said: "So this is the famous Glasgow Green then? I've heard a lot about it."